The Japanese love curry. Japanese cuisine and curry might not seem to go together, but we have a knack at making a Japanese version of everything. 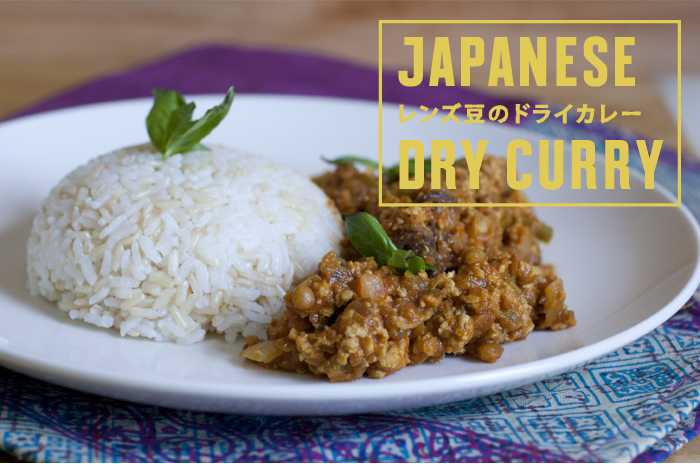 I think dry curry is a really common home-cooked dish, but isn’t as popular as the thicker, sweeter gravy type. This is a great weeknight dinner, this recipe makes a nice big pot of it and the best part is, it gets even better the next day. Because this is a Japanese take on curry, it’s very mild and the raisins make it a little sweet. If you want more of a kick, you could add chilli powder or some fresh red chillies would be great as well. 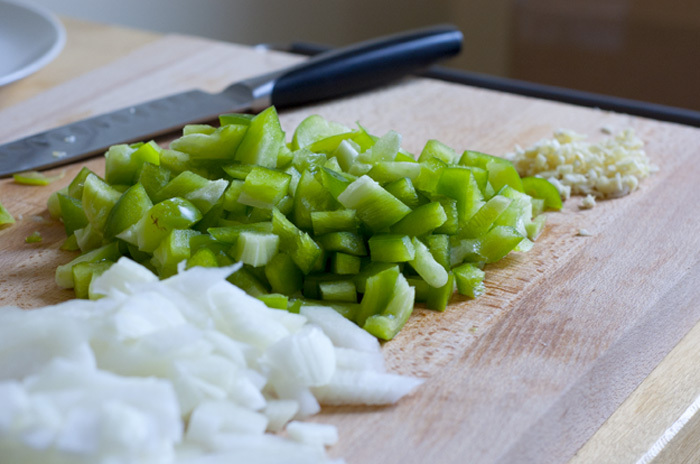 Chop the onion and capsicum into a rough dice. Mince garlic finely, and sauté in olive oil in a large pot. 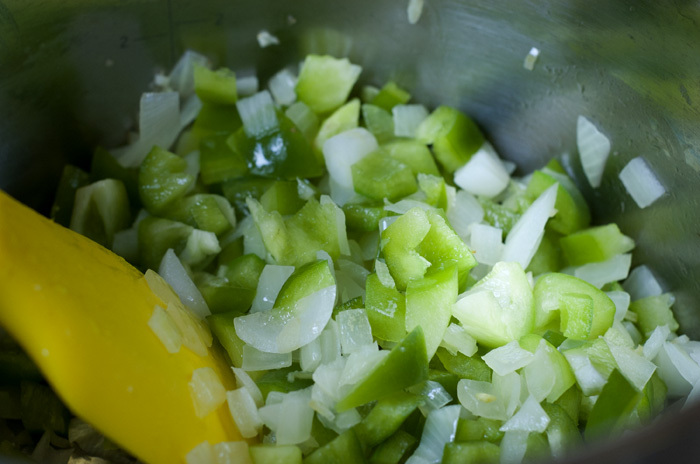 Add onions and sauté until translucent, then add the capsicum. 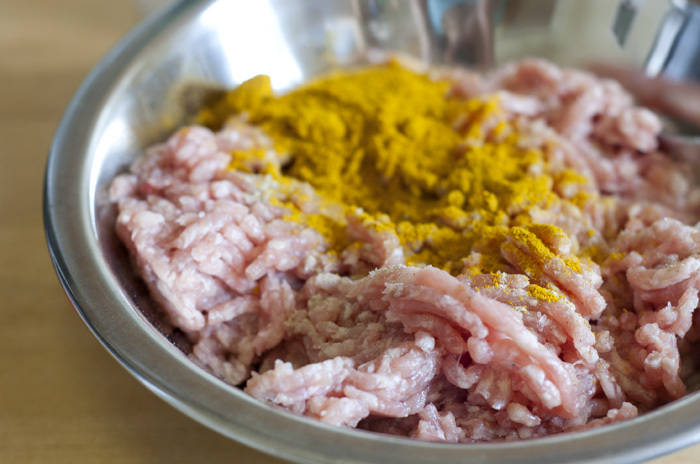 Pre-season the pork mince with salt, white pepper and 1 tablespoon of curry powder. 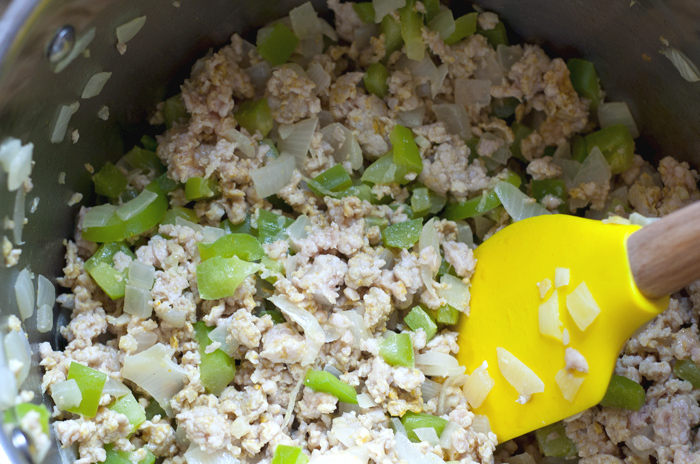 Add pork mince to the pot and stir to separate the mince. 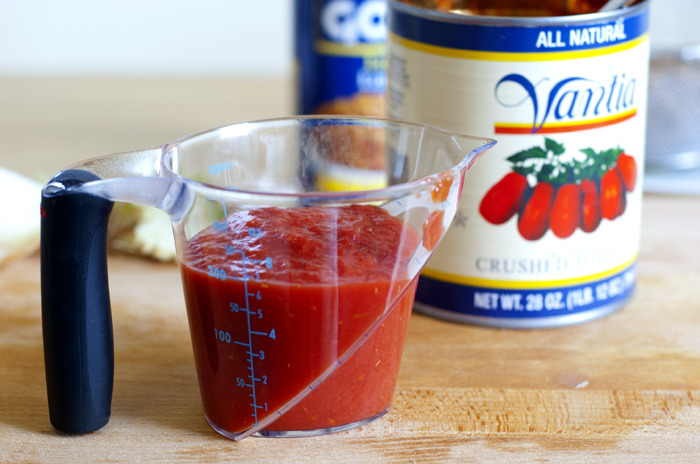 Add 200ml of tomato purée or juice to the pot. 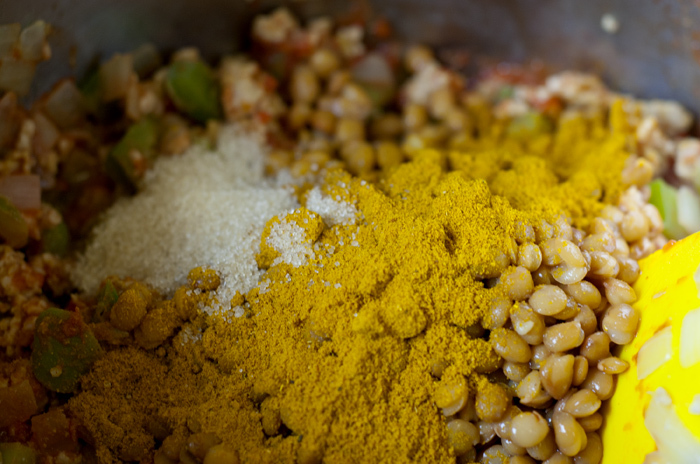 Add the lentils, rest of the curry powder, cumin powder and sugar to the pot. 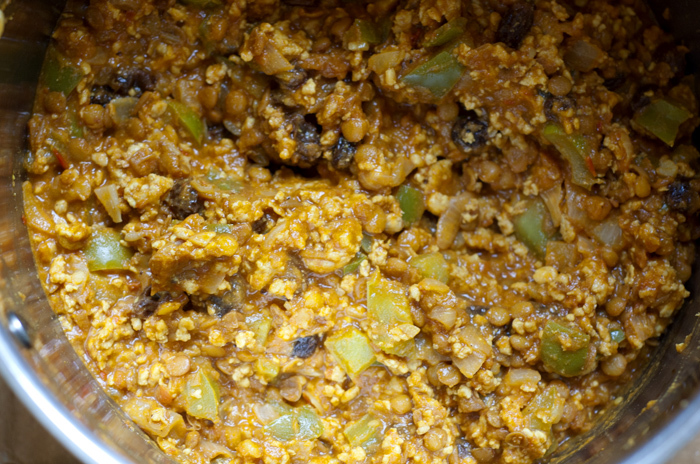 The raisins need some liquid to absorb, so if the mixture is looking a little dry, add 1/4 to 1/2 cup of water. 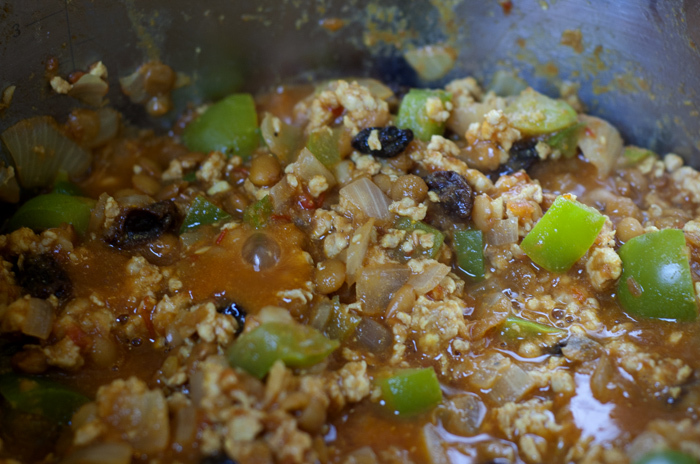 Simmer the curry for 30 minutes, or until the liquid has been absorbed. 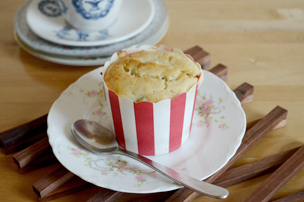 The raisins should look round and plump. Cook the rice, if you are serving the curry with rice. 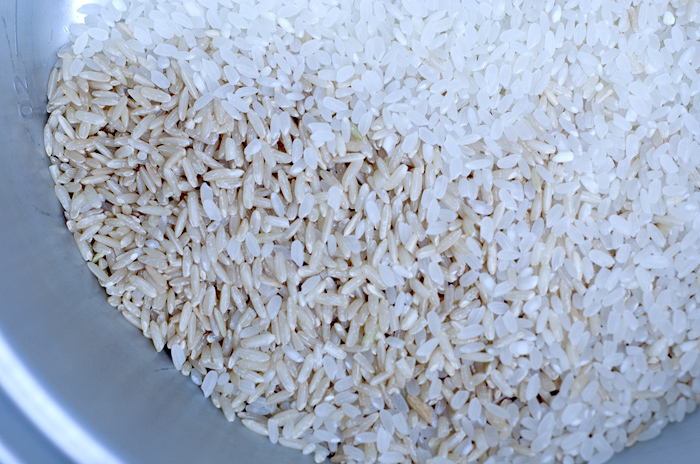 I like to mix half white medium grain rice with half brown rice, to add a bit of texture. This is what the curry looks like when it’s done. There’s still a bit of moisture but no gravy — just how a dry curry should be. 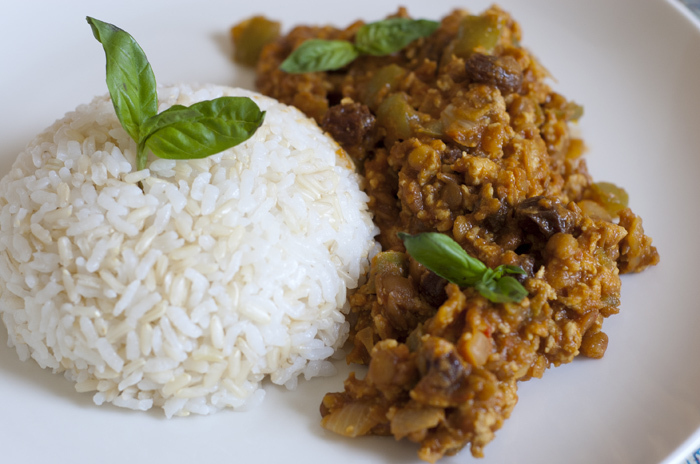 Serve with fluffy hot rice. 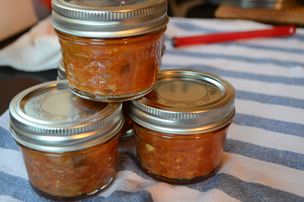 This recipe makes generous four serves, because it’s very hard to stop at one!